The BPIEC offers a short term program designed to provide intensive English language instruction to primary students living in the Belconnen area of Canberra who are newly arrived in Australia and speak a language other than English at home. The aim of the IEC is to prepare students of primary-school age for the English language demands of mainstream classes in Australian schools. The IEC provides students with intensive, specialised instruction in English in a supportive and safe environment. 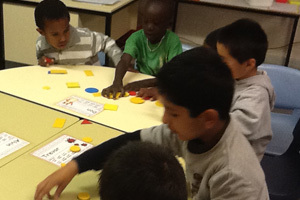 The program is similar to that in a mainstream primary school but with a strong focus on language acquisition. · are a temporary visa holder who has been approved for enrolment by the International Education Unit. Private students who speak a language other than English are also eligible to attend the BPIEC after completing the necessary application and payment procedures with the International Education Unit. Families wishing to enrol their child in the BPIEC are required to complete an online enrolment process. You will then be contacted to come for an interview to share information and a tour of the school. Interpreter assistance is offered to families if required during the interview. 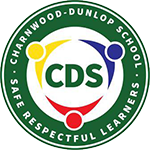 Families who wish to enrol their children in the BPIEC can contact Charnwood-Dunlop School on (02) 6205 7322.